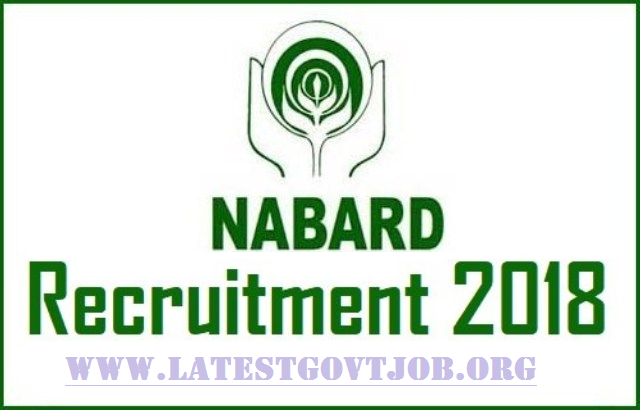 NABARD Recruitment 2018 For Assistant Manager Grade A 92 Vacancies | Apply Online @www.nabard.org : National Bank for Agriculture and Rural Development (NABARD) has released a notification for the recruitment of 92 Assistant Managers in Grade 'A' in various disciplines. Interested candidates may check the vacancy details and apply online from 13-03-2018 to 02-04-2018. For General: Candidates should have passed Bachelor's Degree in any subject from a recognised university with minimum 50% marks in aggregate or Master's Degree with minimum 50% marks & more. For Animal Husbandry: Candidates should have passed qualified Bachelor's Degree or Master's Degree in Veterinary Sciences/Animal Husbandry from a recognised university with minimum 50% marks. Selection of candidates will be made on the basis of the Preliminary Examination, Main Examination and Personal Interview. neral/UR/OBC Candidates have to pay Rs. 800 and SC/ST Candidates have to pay Rs. 150 through online mode using Net-banking/Credit or Debit Card. Interested and eligible candidates may apply online through NABARD website - https://www.nabard.org/ - from 13-03-2018 to 02-04-2018.